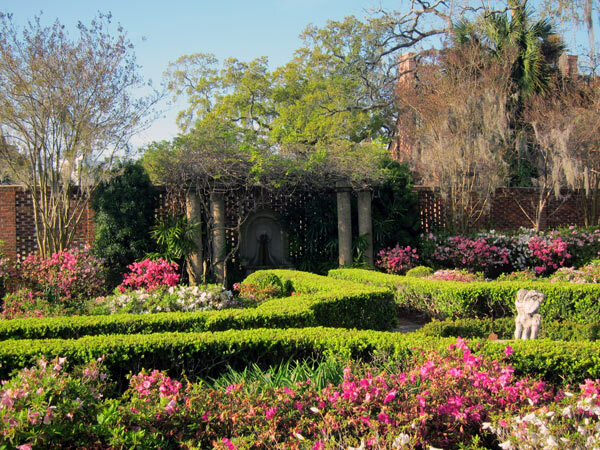 Formerly part of the residential compound of Michigan lumber baron brothers Arthur and Waldo Cummer and their wives, Ninah and Clara, the gardens of the Cummer Museum of Art are among Florida’s most significant. The original 1903 design by O.C. 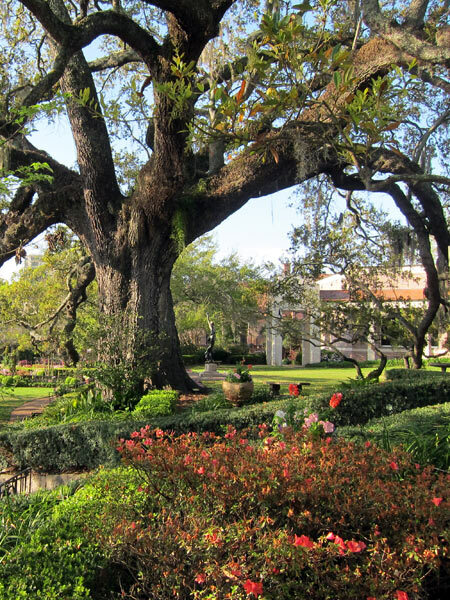 Simonds enhanced existing stands of live oaks and other native vegetation along the St. Johns River with large-scale naturalistic plantings. 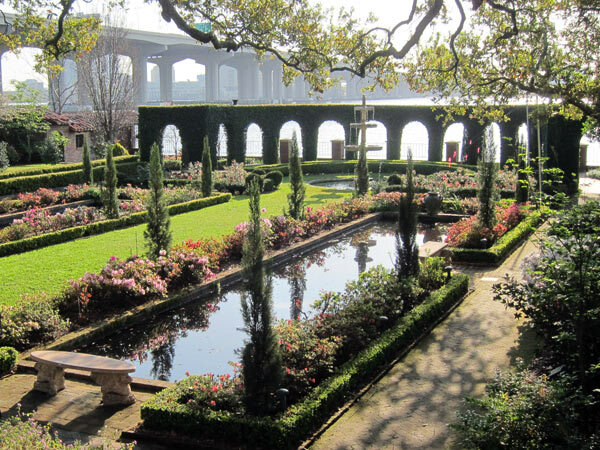 The formal-style English Garden, with its long wisteria-covered pergola, was planned in 1910 by Philadelphia nurserymen Thomas Meehan and Sons. 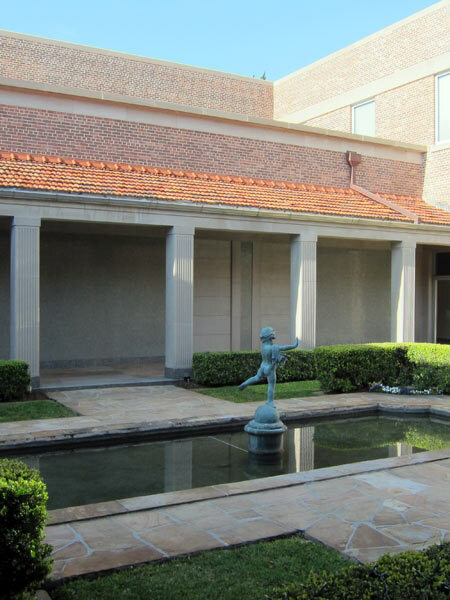 Several years later the Olmsted firm consulted on improvements to these gardens: the placement of a fountain and additional features. 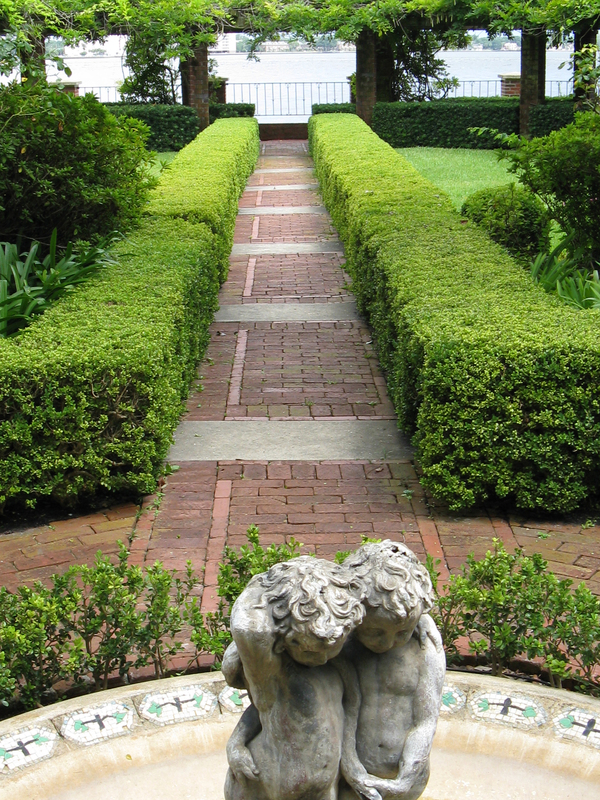 William Lyman Phillips, from the Olmsted office in Lake Wales, Florida, designed extensive grounds for Waldo and Clara Cummer. 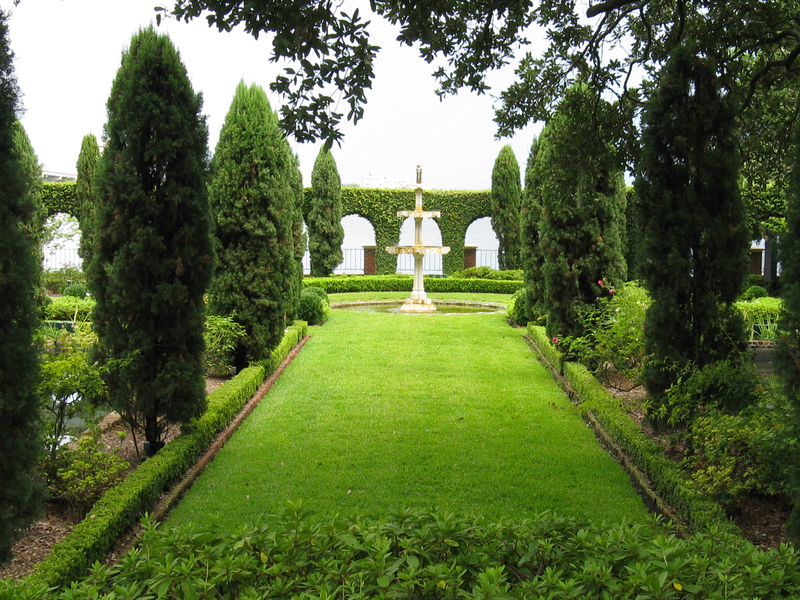 Ellen Shipman’s 1931 Italian garden consists of two long reflecting pools, a semicircular exhedra evocative of Villa Gamberaia, and mixed herbaceous beds under the shade of the Cummer Oak, one of the oldest in the country. After Ninah M. H. Cummer’s death in 1958, the houses were torn down for construction of the museum. 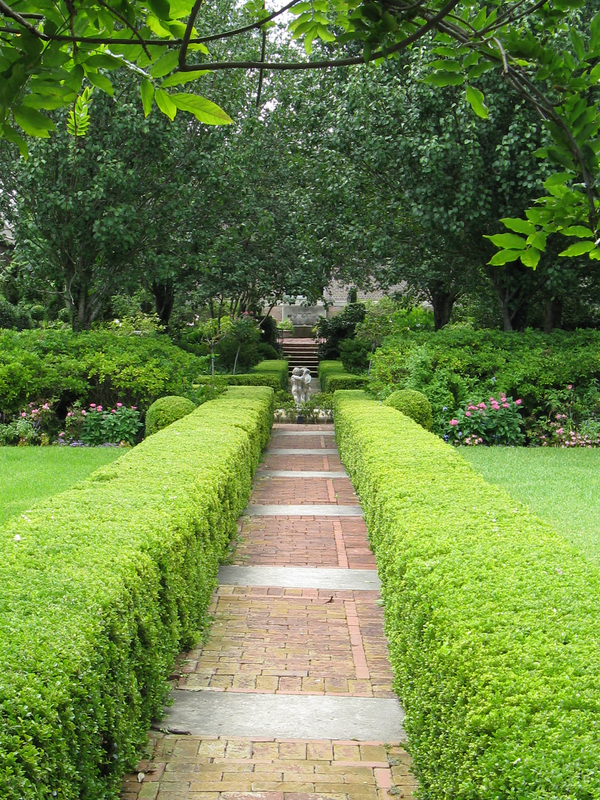 The significance of these gardens became apparent during restoration of the grounds in 1999. 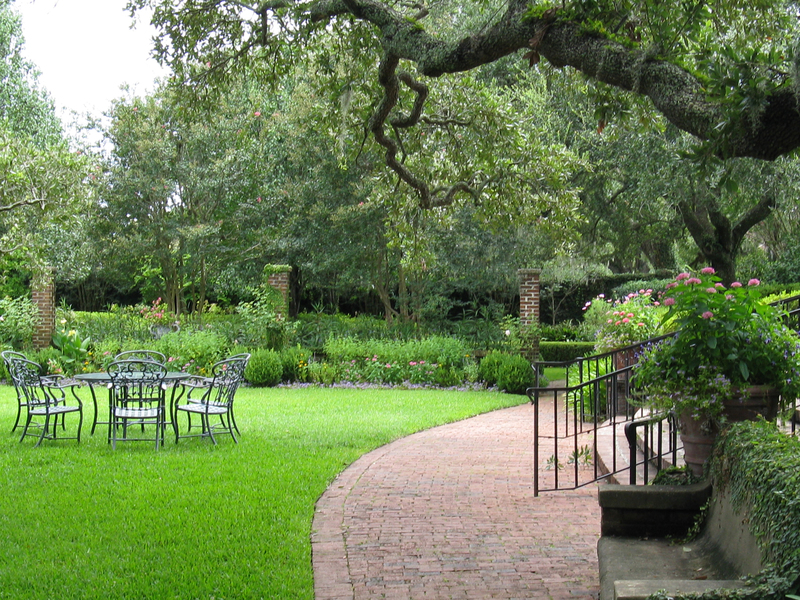 The garden was listed in the National Register of Historic Places in 2010.